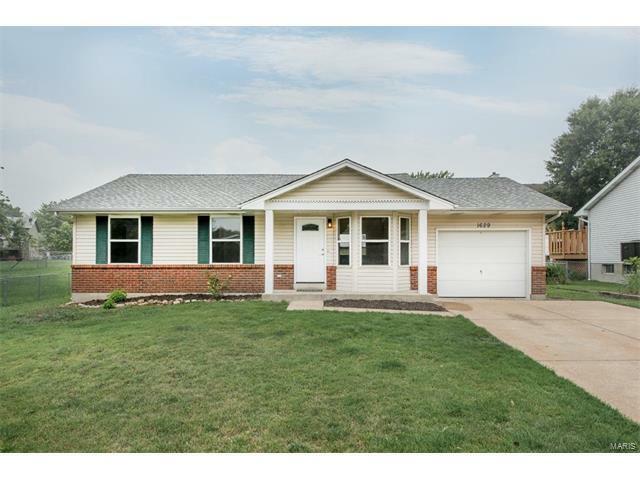 Fully Updated, Move-In Ready Ranch! The owners just invested in new HVAC, Roof, Kitchen, Bathrooms, Flooring, Trim, Doors, Hot Water Heater, Sump Pump & Paint. You can relax & enjoy! The open floor plan starts with the beautiful living room with a vaulted ceiling, brand new carpeting and a bay window and flows into the breakfast room and kitchen, fully appointed with new white soft-close cabinets, granite counters, tile backsplash, sparkling stainless steel appliances, deep, double stainless sink, brushed nickel hardware and faucet and a pantry. The master suite has a large closet and an updated private bath with a cultured marble shower. Two generous spare bedrooms and another full bath complete the main floor. Spacious and versatile lower level is ready for your custom finish. Fenced, level lot on a quiet street. Elementary school is next door to the neighborhood. Recently passed building, radon, termite and sewer inspections. Fabulous quality investment opportunity. See it today!